There are a lot of experts out there – and even more armchair Internet experts – with differing opinions about effective weight training. This has left many people with exercise ADHD. So let’s take a step back and uncomplicate things. Here are six reminders about what works. The term “functional” is overused and frequently misused. However, it’s an appropriate word for the type of strength most people are looking to build. Essentially, it means being strong in movements that are applicable to daily life. Some would argue that all strength is applicable to daily life, but clearly there are exercises and movements that are more functional than others. For instance, the squat is activating muscles and executing movement patterns that are required to perform the same motion we use whenever we sit down or get up, while machine biceps curls only seem to activate the muscles used to take selfies. Fortunately, if you focus on prioritizing free-weight compound movements, you’re always on the upper end of the continuum. The other reason you want to favor compound or multi-joint movements is because they recruit the most motor units and generate a far bigger hormonal and neurological response. This is also the case with choosing free weights over machines. For example, a barbell or dumbbell squat is a lot more stressful than a leg press and results in a more significant neurological response when matched for intensity. Free-weight compound movements also permit a greater range of motion. A muscle is at its full range of motion when it’s in its fully stretched or contracted position. More stretch and more contraction means more units recruited and greater muscle development. Though not all free weights allow full range of motion (e.g. barbell bench press), they generally provide ranges beyond what a typical machine provides. Plus, unlike machines, there’s usually an alternative (like dumbbells) that provides greater range when necessary. This also means free-weight compound movements are beneficial for injury prevention. The stronger our stabilizer muscles are, and the more familiar they are with loaded stress at various angles and ranges, the lower the probability of a pull, strain, or tear when placed in an over-stretched or over-extended position. When planning your workouts, figure out how to incorporate a push, pull, bend, and extend and you can’t lose. Dedicate one day to each movement, group them together to create an upper body day and lower body day, or fit them all in for total body training. Whichever way you choose, you need to get really strong and feel very comfortable with these four major movements. 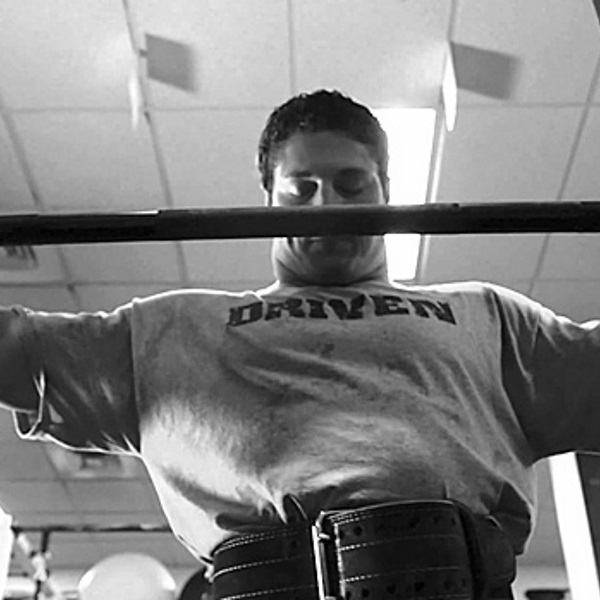 You can still blast the bi’s, torch the tri’s, and crush the core if you want, but your program design should revolve around the push, pull, bend, and extend. These are the meat and potatoes. Everything else is just the gravy. Supersetting has you performing a second exercise in the time that would’ve been wasted standing around waiting to recover from the first. For example, you could do 10 reps of incline dumbbell bench press and rest for 90 seconds before doing another set, or you could do 10 reps of incline dumbbell bench press, followed up with 10 reps of back extensions, and rest for 60 seconds. Instead of twiddling your thumbs for 90 seconds, you spent 30 of those 90 seconds doing another exercise that used different (non-competing) muscle groups. Supersetting leads to better results. It keeps your total workout time short so you can take advantage of higher levels of testosterone and lower levels of cortisol, which have a direct impact on your ability to build muscle (anabolism) or lose it (catabolism). Also worth noting is that aside from building a stronger, well-muscled physique, these elevations in hormones and exercise byproducts result in significantly greater fat loss and post-exercise caloric burn (EPOC). Though exercise selection, exercise order, and exercise variables are very important pieces of progressive resistance training, they’re not the most critical component to success. One of the biggest and most commonly neglected factors is the consistent increase in weight. From a workout-to-workout perspective, the weight increases are minimal. You simply try to improve on your last performance in a given exercise, whether that’s adding 5 pounds to the bar, moving to dumbbells that are 2.5 pounds heavier, or getting 10 reps on the second set when you only got 8 reps on the second set the previous week. If you can’t do the lower number (8) in the rep range, the weight is too heavy. If you’re hitting the higher number (10) with ease, the weight is too light. The only other thing that discourages an increase in weight or reps is sloppy form or an improper tempo. Most people work with weights that are too heavy, which causes them to lift improperly and set themselves up for injury. Starting with a lighter weight and working your way up is critical, especially when it’s a brand new workout or exercise. Remember, it’s progression, not perfection. You don’t get a chiseled body or double your bench press and squat overnight. All you can do is keep pushing for more weight or more reps with the same weight on a consistent basis and the numbers will rise up with time. Once your body has adapted to a new stressor, you don’t gain as much by applying the same stressor. This is because our muscles adapt as a form of survival. We adjust to the stimulus with strength improvements so we’re better prepared for this “threat to survival” the next time. So, in order to continuously progress, we need to overload our muscles with a foreign stimulus. In the strength coach world, you’ll hear this referred to as periodization. Unfortunately, it’s another one of the things that can get confusing. In a nutshell, you don’t want to always be working on building muscle or always be working on building strength. Similarly, you don’t always want to be doing the same type of squat or using the same type of grip position or pressing angle. Instead of overcomplicating things, the best way to prevent plateaus is to move back and forth between strength and muscle-building workouts and change the exercises on each transition. Interestingly, other than frequency, this simple muscle-strength swap takes care of all the exercise variables listed above. Basically, you’re applying two types of progression to avoid stagnation: progression within a workout via reps and weight, and progression between workouts via the variables listed. Generally, you should perform each workout or group of workouts anywhere from 3-6 times before switching to a new set of exercises. In practice, that would mean 3-6 chances to get stronger, followed by 3-6 chances to build muscle. Beginners should switch closer to 5 or 6 times, and experienced lifters closer to every 3-4 times. Realistically, the only two things beginner and intermediate lifters need to concern themselves with are: strength building workouts and muscle building workouts. And if you commit to supersetting upper and lower body or push/pull exercises together, the only difference between the workouts is going to be the training variables – volume (reps and sets), intensity (rest), and movement speed (tempo). Since your goal is to build strength and muscle (and not endurance), you’re going to stay below 60 seconds under tension. And since it’s possible to build strength without lifting too heavy, you’ll stay above 20 seconds the majority of the time. For strength and muscle, the tempo or rep speeds in the chart are an important part of the equation because they ultimately determine whether you’re lifting in the appropriate zone. Tempo is typically explained with numbers like 4010. On the bench press that would translate into taking 4 seconds to lower the weight to the chest (the eccentric), not pausing, 1 second lifting the weight back up (the concentric), and no pause at the top. So, 10 reps at a tempo of 4010 would equate to approximately 50 seconds under tension and this puts you in the proper TUT for hypertrophy (muscle growth). On the other hand, 8 reps at a tempo of 3010 would be more of a strength set as it puts us at a TUT of 32 seconds. Similarly, the rest is commensurate to the training goal, with higher rest periods necessary for proper neurological recovery and shorter rest periods necessary for muscle building.